On March 28, 2018, Trudy was called to be with her Lord and Savior. Trudy is survived by her loving husband of 66 years, Walter; son Philip Kadatz; grandchildren Matthew (Zoe) and Meagan Kadatz; sister Doris Jantz and many nieces, nephews and close friends. Trudy was loved and respected by all who knew her. A woman of drive and determination, she became an inspiration to many. Trudy began her career in education in 1949, teaching in several one room schools until attaining a position at Colchester Elementary. In 39 years as an educator, she touched many lives, students, parents and fellow teachers. In 1977 after many years of summer and night courses, Trudy graduated from the U of A with a Bachelor of Education degree. The attainment of this degree was a moment of pride for Trudy and her family. 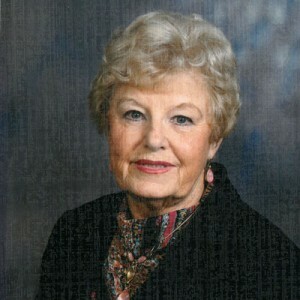 After retirement, Trudy continued to teach as a substitute in the Kelowna area. She led the Christian Women’s Club and shared in praise and fellowship. In her later years, Trudy completed two life-long projects detailing the Kadatz and Handke family histories as well as a collection of poetry and inspirational writings. A Funeral and Christian Burial will take place on Friday, April 6th at 1:00 pm, at Lakeview Heights Baptist Church, 2630 Alhambra Drive, West Kelowna, BC. In lieu of flowers, the family requests that tributes take the form of a donation to the Kidney Foundation www.kidney.ca . The service for KADATZ (nee HANDKE), Gertrude (Trudy) is scheduled for Friday, April 6th at 1:00 pm. Below you will find the map for the service location and the contact information should you have any questions. Unfortunately I am not able to pay my respects in person at the funeral, but I will donate to the Kidney Foundation in Trudy’s memory. To “Uncle Walter” and family: please accept our condolences for “Auntie Gertie’s” passing. (That was what I called you while I was growing up although you really were my cousins’ aunt and uncle). We were always made welcome when we visited. We hope your many happy memories help to ease your loss.